James Edmonds is an artist / filmmaker from the UK living in Berlin. 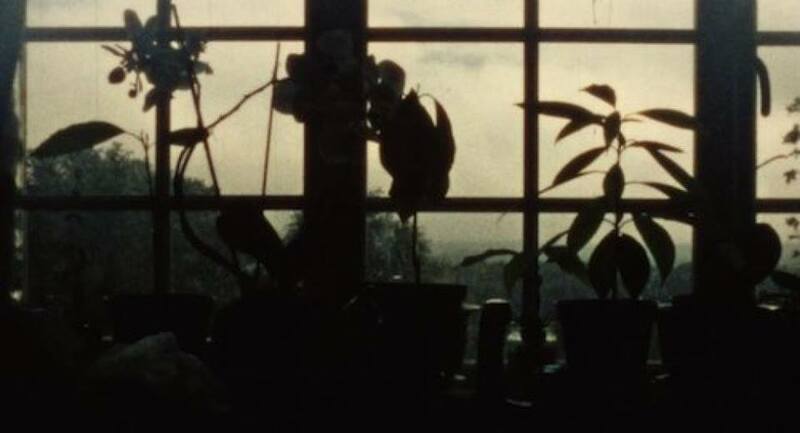 His practice centres on a personal poetics in which the nature of recording, particularly when approached from the materiality of a medium, offers a tangible yet ultimately paradoxical surface for what is intangible and fleeting - our personal experience, inner worlds, thoughts and reflections. Shooting on 8mm film and making field recordings on cassette tape, recorded patterns of light and sound become a low quality, dreamlike plane of stillness, silence and uncertainty, exploring the passing of time through the study of vacant institutional spaces. The transitory spaces of these mundane but haunting buildings become an obsolete reality of forgotten ideals, the filmstrip itself a receiver of these resonances. An imaginary filmic landscape that uses fragments of the real world seen in flight, as the camera moves almost continuously and rapidly through various passages of transit. Certain structures recur as significant landmarks of this fiction - the repeating patterns of towers and masts seem to fade into one another like an unknown omnipresence. Sometimes shown as a tripple projection in a specific space. Brief vignettes of selected urban scenery are presented with intervals of blank space offering colourful impressionistic glimpses into small details of a costal town. The materials and detritus, people and architecture -fragments from everyday life, are collected through the ritualistic patterns of single-frame shooting, forming structures directly on the filmstrip as they are discovered, just as pebbles are collected on a walk across a beach. A collage of half forgotten sub-truths of found and rediscovered footage and scraps which are continuously added to over time, complete with hand painted and scratched sections. Momentary flashes and collisions awaken us us to an abstract memoristic language. The inability to deal with the idea of past / a reflection on the painted image and filmic reproduction. Named after a line in William Burroughs’ The Soft Machine. Sometimes shown with a second super8 reel overlayed. A fragment of memory is briefly evoked. The memory of a boat journey, of traveling as a child. mThe child is born into the universe in a flurry of images which constantly shift between modes of chromatic reality. The substances of the earth and it's elements circulate and accumulate in material fluctuation. The flora and fauna give way to the human. The glimpses of lives as portrait - the concrete, the societal, the ritual of the everyday - a short series of episodic documents. This moment again gives rise to other realities. Signs, symbols, silence and stillness animated through the uncertainty of image. In intervals of darkness, light is shed as flashes of remembrance, traces of something long ago. A series of follies appear as history. A diary film sort of affair, dealing with the flesh of time, strands of the present moment strung together as single reels of super8, one for each season, exposed between 2016 and 2017. Leitmotifs, physical and ephemeral, providing some unity within each season, as a reflection on its atmosphere and passing presence.